Trouble strikes when Hat Kid’s spaceship gets rudely boarded by an extorting denizen of a nearby planet that she unknowingly passes by. Inspired by promises of a little girl’s piggy bank or perhaps, lacking in proper aerospace etiquette, the extorter bends a few laws of physics and breaks the glass on her space shield (it’s like a windshield, but you’re in space), quickly creating a vacuum which scatters all of her treasure, fuel, and and reasons why she should always be on time, into the recesses of space and beyond. 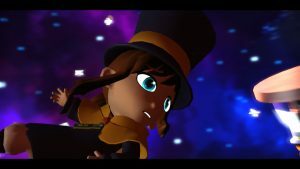 The game thus follows Hat Kid as she goes about regaining her time pieces across different worlds and situations. 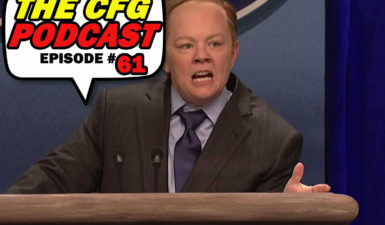 Assisted by a cast of over-the-top characters brought to life with full voice acting, the player is quickly thrown into the game with light directions on how to navigate the world when speaking to NPCs or eavesdropping on their conversations. 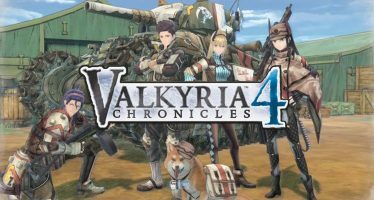 However, as the controls are relatively intuitive, the player will likely have figured out how to do most things and will instead be treated to silly banter between characters or revelations about how they really feel. As it is not easy being a little girl in space, the player is soon introduced to Hat Kid’s secret weapon of survival: sewing. Totally unrelated to her namesake, Hat Kid gains various abilities through the mechanic of sewing new and interesting hats from the patterns collects throughout the worlds she visits. As a nod to The Legend of Zelda: Majora’s Mask, these hats are then seamlessly (get it?) accessed from the interface and can be quickly switched out to accommodate different situations, such as sprinting away from a giant rolling ham-on-a-bone. Combined with fluid and responsive controls, these special abilities work harmoniously alongside the genre’s core move-sets to create a satisfying platforming experience. Similar to how games like Super Mario 64 operated, the player will need to revisit the same world and work on different objectives/chapters in order to collect more time pieces to unlock new chapters and maps. 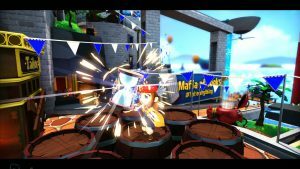 As a game that rewards collecting and exploring, A Hat in Time manages a healthy amount of collecting without overwhelming the player (*ahem*Donkey Kong*ahem*), maintaining that it is, by and large, a platformer. As such, combat often revolves around one’s ability to run, dodge, and jump out of harm’s way, occasionally requiring actual fighting with one’s trusty umbrella which can be upgraded. The soundtrack is composed by Pascal Michael Stiefel and offers a brilliant, fun, and perfect background track to Hat Kid’s adventures through bustling towns to dark forests. The environments themselves are reminiscent of the style found in The Legend of Zelda: The Wind Waker: bright, colorful, and cartoony. Perhaps it is because I really need to stop using my laptop to play games, but at times, there appears to be a crazy physics bug on some of the enemies’ heads (like crazy head-jerking while they’re standing still); it is a minor thing and more than likely an issue on my hardware than on the game itself, but I felt like I had to include it in there, just in case it was something that was worth mentioning. 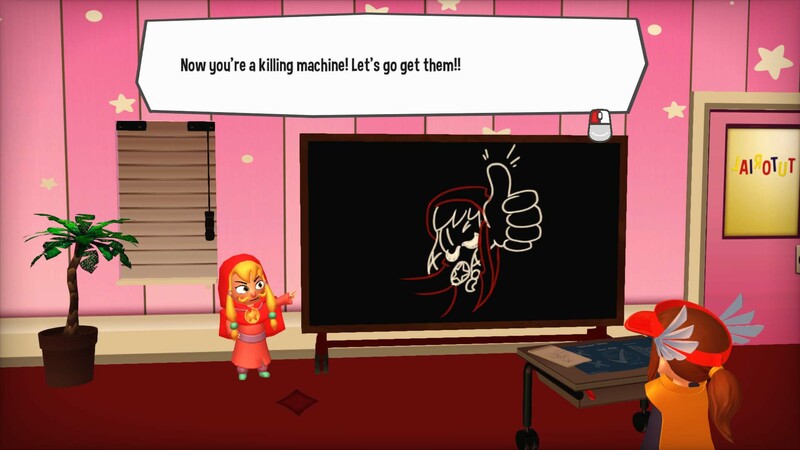 Another part of A Hat in Time that was not as enjoyable is how extremely obnoxious some of the voice-acting is; I think it is intentional, but it took away from an otherwise quirky and relaxing experience. I’m looking at you, Mustache Girl. A Hat in Time is the modern 3D platformer the genre has been hungry for in a world of top-down games and first-person shooters. Gears for Breakfast showcases their understanding of how a 3D platformer should feel with fluid and responsive controls. 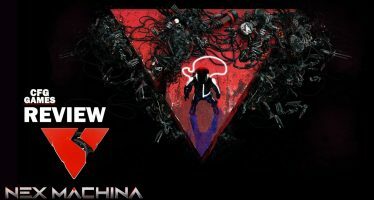 Bright, artistic, and colorful, the player is treated to a rare successor of the 3D platformers of yore. Its charming protagonist, Hat Kid, does not cease to amuse as she leads a cast of colorful, over-the-top characters into unexpected moments and hilarious outcomes for the curious player. 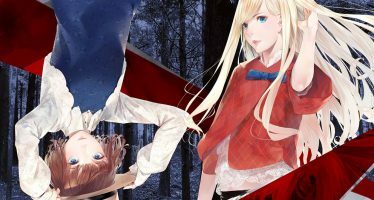 Initially funded via a wildly-successful Kickstarter campaign, the game has since been green-lit for Steam and is getting ports on both the PlayStation 4 and Xbox One. 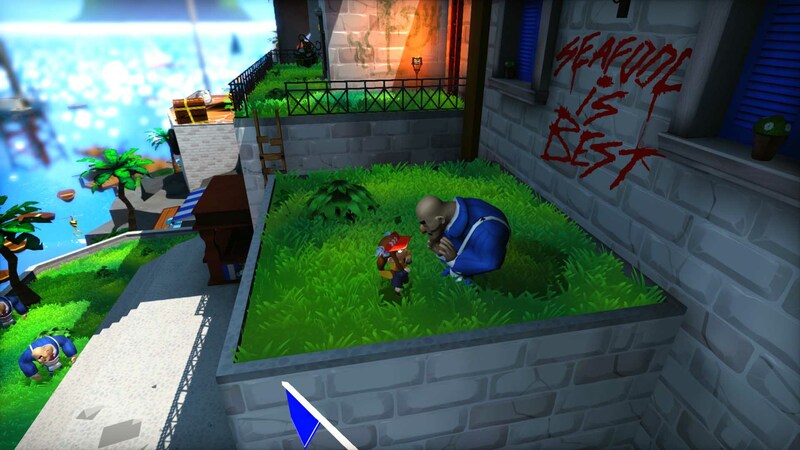 If one is looking for a modern 3D platformer, then look no further: A Hat in Time is the gratification we’ve been waiting for.